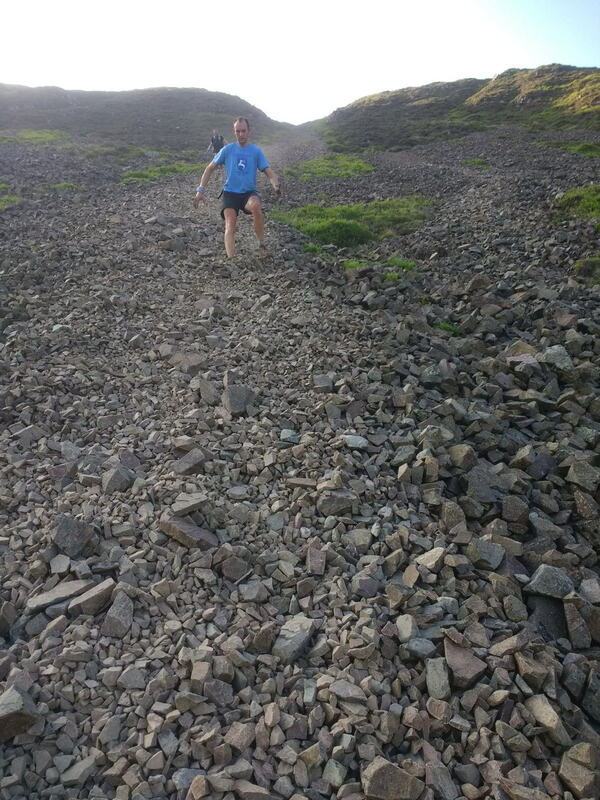 I finished my Bob Graham Round yesterday. 22 hrs 10 mins or so. How I got to here is still something I’m getting used to. Loads and loads of people have done The Round, but this was me. What the… ? I still can’t really take it in. It was firstly Phil. My elder brother was really the fell runner amongst us. 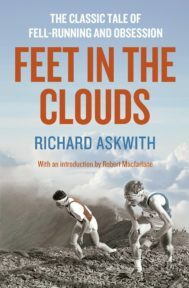 He’s the one who, in his early 20s went out and did what, to me, seemed like mad Lakeland races and talked about how one day, he would train for and do the Bob Graham Round. I still didn’t really get the scale of it back then. 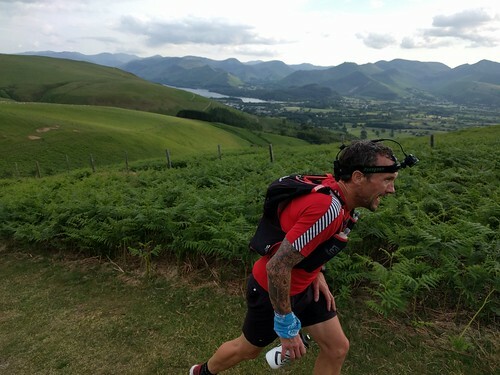 ( You have to summit 42 of the highest peaks in the Lake District, covering around 66 miles and 26,000ft of climbing, all within 24 hours). He got to know a bit, did a few trips, ran some of the legs. It was his ankles that stopped him fell running. I’ve really considering cycling as my sport. The fell running never went away. 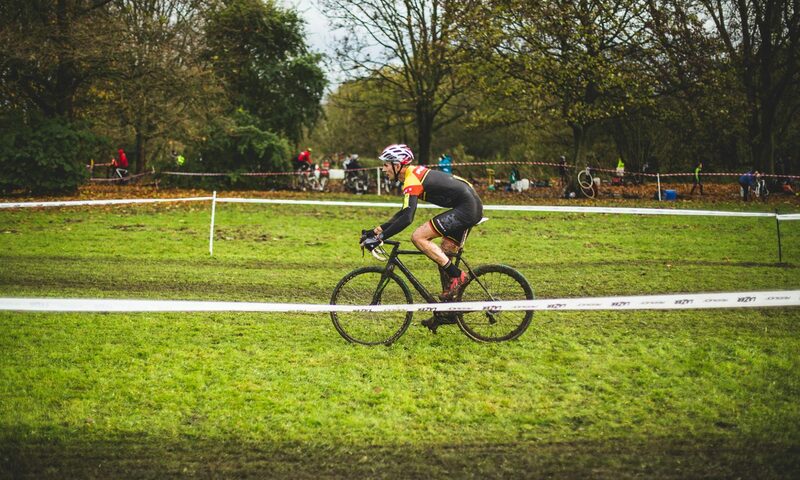 I’ve always kept at it, and turned up to do the local races. Really enjoy it. Always will. But me, The Round? It never crossed my mind. Not one bit. But what struck me is the undercurrent of the author being drawn in by the Bob Graham Round. I could see how a reasonable, fit, steady runner could eventually coax himself round a successful 24 hour finish. I wondered if I could. But not now. Not this year. I’m too busy. Maybe when I’m a bit older. Maybe when the kids have grown up. Maybe one day. 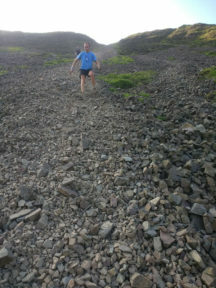 I mentioned this last year, when I embarked on my first (abandoned) my first Bob Graham attempt. 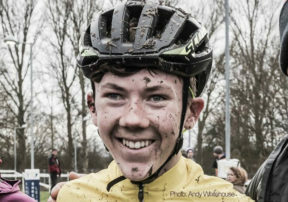 A young lad who I vaguely knew. Went to bed, died in his sleep. That was it. ‘Tragedy’ doesn’t even touch it. But it was in the car, with friend Alan, on the way back from the Wadsworth Trog, February 2017, when we were talking about Charlie… I said to Alan how it made me want to live. 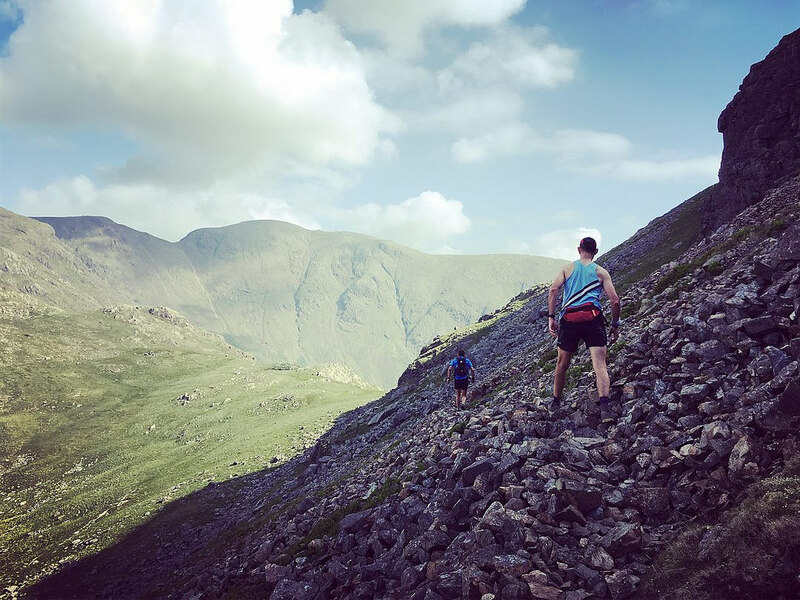 To never get old with regrets, and to never say things like “I wish I’d done a Bob Graham Round when I was younger”. 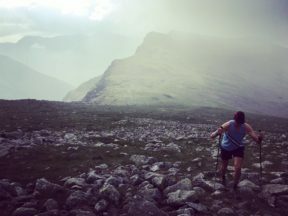 “I want to do the Bob Graham”. I said to Alan. 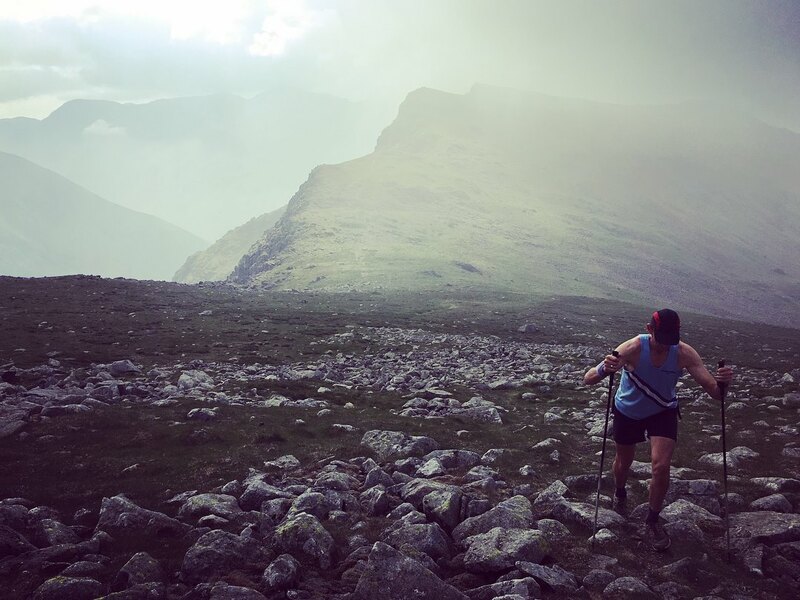 He knew I was fit, and he knew the Bob Graham way better than I did, but when he said “… well, I’d love to help you try but it’s so hard …”, I knew he was humouring me. Or at least, Alan realised straight away that it was something I hadn’t really thought out. Not a bit. I wrote about my first attempt here last year, so won’t repeat myself. To coin a phrase, it was what turned out to be part of a learning curve. Looking back now, there were scores of tiny details that I learnt from and fine-tuned for yesterday’s successful attempt. Whilst last year’s abandonment was down in my head to some atrocious weather (anyone who was there would concur), this year felt like my last chance. You don’t want to put all those helpers through it and go half-arsed about whether you can get round or not. People give up their weekends. Sneak out of family tents at 1:30am. Leave their wife and toddler at home 80 miles away. Leave home at 5am and drive around 100 miles of twisty Lakeland lanes. Sleep for 2 hours in the back of their car. You just want to get it right for them all. So I wanted to leave little to chance. Or as little as possible. Meticulous planning, research on nutrition, days recce-ing the route, helping out on another leg of a Round, the list is huge… there was so much detail it could bore the pants of even the most obsessive. Suffice to say, I invested as much stress in planning it to work as I did in training. (I thought about trying to spare you of boring detail. But ultimately I’m writing this for my own memories and biographical purposes, so there’s a fair bit!) I set a 22 hr 40 min schedule. Not because I expected to do that, but because I thought it important to have some buffer time to fall back on. I also planned on 5 minute breaks at the 4 changeover points. Many (most?) stop for a bit longer, but I learned that stopping does me little good, and starting again just gets harder. That helped set a faster schedule, too. Alan Dorrington got me up to Keswick at the end of what was thankfully a fairly quiet day at work. I was really nervous – fairly obviously I guess – but most of the talk had been about how lucky I had been with the forecast weather. Craig Stansfield was my only Leg 1 helper. All I needed. A super strong and experienced endurance fellsman. Someone to chivvy me along but also to tell me to take things easy. Someone to carry my drinks, food, spare clothing, but mainly someone with whom I knew I could be relaxed and confident with. There’s only three summits to check your progress against on leg 1, so I was edgy about how fast or slow things were. I was also very keen to not descend fast. My old, trashed toes would be the make or break thing for me. If I could delay toe pain as long as possible it would give me the best chance. That meant mincing down hills as wimpily as you can imagine. But I was climbing with great ease at this stage so we gained time with what seemed like little extra effort. Oh, and I farted a lot. Sorry Craig. 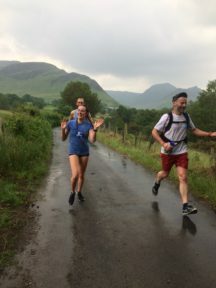 Leg 2: Threlkeld to Dunmail Raise over the Helvellyn range. The night-shift was less night-shift than it should have been because of the time I’d gained on leg 1. I’d eaten my standard ‘changeover’ food of one egg butty, one yoghurt, and one tub of rice pudding, and got straight on my way. The early start to the leg almost got me into trouble since Greg May and Andy Preedy, my helpers for the leg, had only turned up 5 mins before my arrival. Oops. We cracked on (they soon caught me up as I walked on down the lane to Clough Head finishing my butty!) and I felt buoyed by the time I’d gained. At 600 metres, Clough Head is the second biggest single ascent in the BGR. Most people who visit the Lakes hardly know it. It’s a beast. But being ‘only’ a few hours in, it’s still possible to crack on at a good pace. And with Greg’s guidance and Andy dropping in just behind me to support, we cracked on. 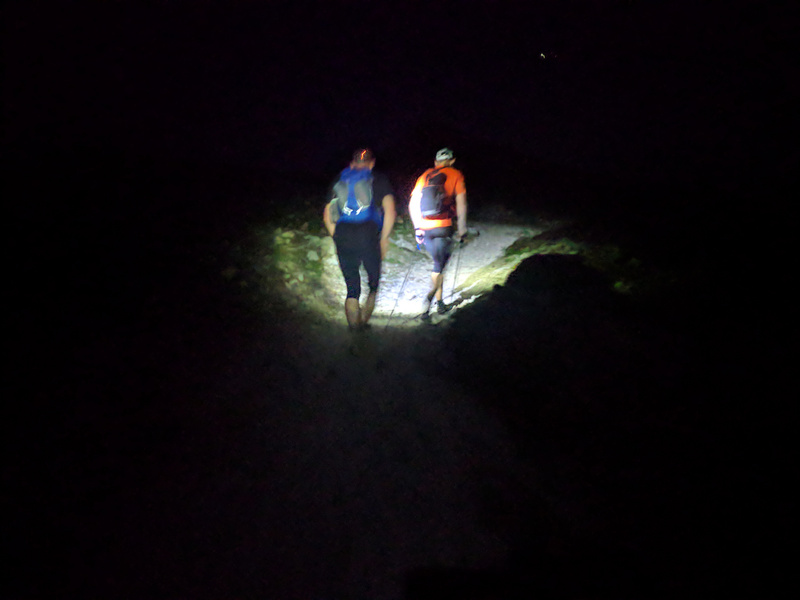 As the torches came on (almost 11pm – the light was sublime) the seriousness of night time mountain work kicked in. The leg flew by. We ran to both knowledge and a watch-guided GPS. If there’d been a moon (sadly v. little) we could have done it on moonlight… the night was still and clear. Lucky me. I booted a rock with my toe around Raise, and fell over a cairn somehow on Whiteside, but other than that it felt like military-strength discipline, good craic, and simply getting on with a job in hand. I was still fearful of toe issues (especially after kicking one into a rock so hard), so the descents were still ever so soft, but it was working. By the descent from Seat Sandal to Dunmail Raise, I knew I now had a full hour in hand on my schedule. 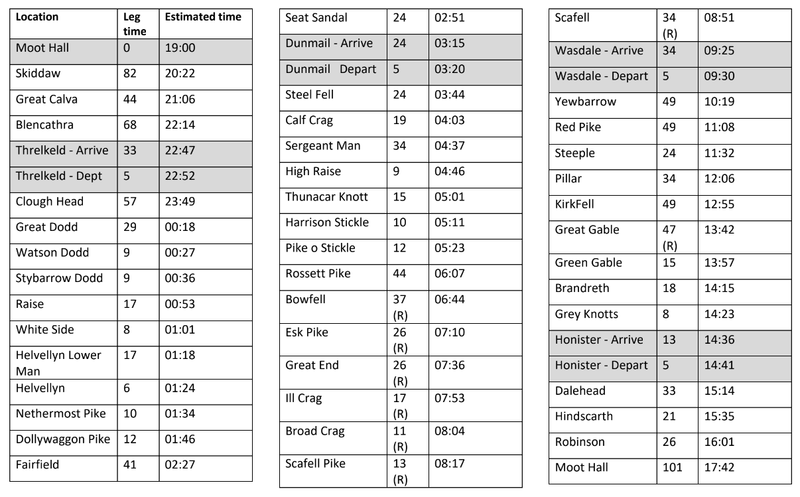 Leg 3: Dunmail Raise to Wasdale over the central Lakeland fells including Scafell Pike. Having an hour in hand on a schedule sounds good. But when you’ve told people to drive to the middle of nowhere to start running at 03:15 and you’re there at 02:15, there may be a logistical problem. Luckily Paul Myers had slept in the lay-by in his car, and Dave Ward had the presence of mind to check the Whatsapp Group to find out I was up by so much. He turned up five minutes before I arrived. Paul led the leg, and with utter confidence and brilliant expertise. The challenge was slightly easier than last year. (It’s amazing what the absence of 45mph gusting wind and sideways rain in constant clag with zero visibility does to way-finding) Like on leg 2, I generally had one runner ahead and one behind. The poles I was using on every climb were thrust into the loyal hands of Dave with clockwork regularity. 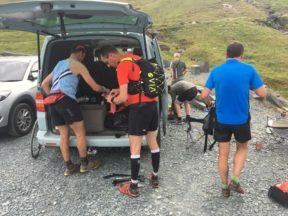 He and Paul provided gels and drinks at exactly the planned rate (500ml bottle of water per hour and 2 x gels per hour). Dawn came fast and it was truly beautiful. (Anyone who has been on a mountain in clear sky as the sun rises will know this. The rest of you just have to imagine beauty that transcends pretty much any other earthly thing). Every silver lining has a cloud though – seeing the peaks ahead came with trepidation. Each rocky summit of leg 3 (that’s every summit from Harrison Stickle onward) came with its own visual health-warning. Good visibility is the enemy of confidence sometimes. So much time in hand, yet so many places to fall, struggle, blow up, cramp, … just proper obstacles in some twisted, nasty obstacle race. I had what I consider to be a normal and acceptable anxiety about checkpoint times, even though I had started the leg an hour up on an already generous schedule. Paul and Dave were great at keeping me relaxed and it was jovial and fun. 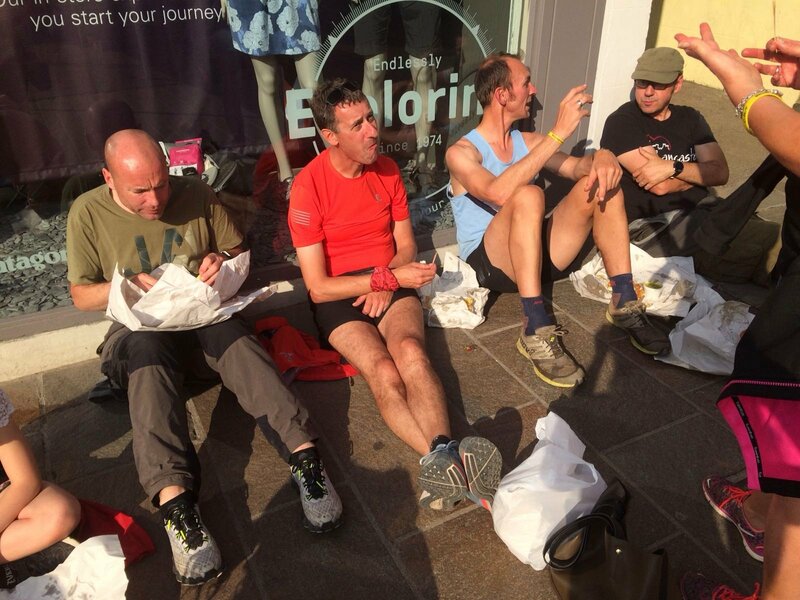 Meaningful and ponderous conversations had about things so far divorced from the Bob Graham. Just perfect. Scafell Pike to Scafell is hideous. I have to put that in writing. It makes me feel better. Bob Graham was very canny when he set what was considered to be a tough but achievable loop of 42 summits in the Lake District. He could have chosen Lingmell. A formidable summit also next to Scafell. It would have taken around 40 minutes off anybody’s time. But he chose Scafell. For 40 minutes, I had little if no respect for Bob Graham. Had he been alive and there, I could easily have punched him, and punched him bloody hard. We chose the ascent via Lord’s Rake and the West Wall traverse. It was a bit like when you see those guys in boxes on ropes cleaning the windows on the side of skyscrapers. But with no ropes, and the boxes were replaced with loose scree. In contrast, the descent of Scafell (an immense loss in elevation and the longest descent in the clockwise Round by far) was pretty chirpy. As with all Bob Graham attempts, the recces paid off, and we got the line down the scree to Lingmell Beck. One step carried you and extra metre if you got into the right rhythm. It was bliss. But crikey we needed a good wash in the beck. Sticky sweat mingled with the dust from moving scree … we looked like we’d been down a mine. Emptying the shoes was a good task, too. We’d maintained the 1 hour buffer, I was feeling amazingly good, and things were looking like I’d broken the back of this. 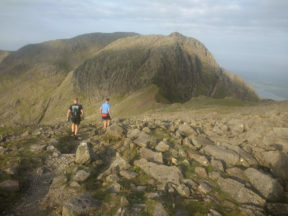 Leg 4: Wasdale to Honister Pass over the Wasdale skyline including Pillar and Great Gable. Brother Phil had set off from home at 5am to do car support for leg 3 onward. Nephew Angus was with him. I had a lovely happy feeling to see them – especially as Phil had driven me home from there 12 months ago, soaked to the skin and worn down from my dreadful storm experience on leg 3. I was feeling really on top of things here. This was brill. I won’t say ‘Pride comes before a fall’. It wasn’t as dramatic as that. It’s more that the long climb of Yewbarrow, renowned for its breaking of many a Bob Graham attempt, found me regretting eating the sandwich that I knew I needed at Wasdale. Starting out up the climb in good spirit with Alan Dorrington and Jon Tinman, I already had said “I know I have enough time in the bag to do this… it’s just that I have to get on and actually do it”. And such a pragmatic prophecy came to life on Yewbarrow. ‘All’ I had to do was climb around 10,000 feet and cover around 25 miles. Whether or not you have a good time buffer is kind of irrelevant. The problem was small in comparison to the hundreds of other BGR problems that people go through. It was simply that my stomach was just very busy digesting, and my blood and energy was being used for that. With 1,800 feet of ascent from bottom to top, Yewbarrow is not a place you would choose to digest food. It’s a bad place for that. But I wasn’t sick, everything stayed in the right place… it was really just my spirit that was waning. The other issue was the building sun. By 9am and in beautifully clear, I was raising a bit of a concern with Alan and Jon about how I may well fry. Angus had expertly rubbed sun cream into my back and neck at Wasdale, but there’s so much sweating going on, and with a trouble digesting, I could foresee a bit of a dehydration episode looming. But the clouds started to build quickly and a slight breeze on the summits helped just enough to set me straight. By the gorgeous pinnacle of Steeple, I was starting to get back into the happy zone. I then started chatting properly to the guys. Looking back, it that 90 mins was definitely the lowest point of my day, and not too bad in the grand scheme of things, but it was a taste of how things could really go pear-shaped if you’re unlucky or simply don’t get things right. Great Gable was the ‘we’re home’ moment for me. It’s a tough, technical climb near to the summit, but we had somehow only lost a small chunk of time and as I summited with around 40 mins still in hand over the planned time, I knew it was all in the bag. The guys had kept me expertly guided, fed and watered, and I was incredibly optimistic now. A little unexpected treat was in hand on the way to Brandreth. 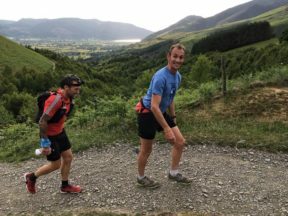 As we ran one way, a trail of fell runners racing the Ennerdale Horseshoe race were coming the other way. It was incredible – so many people spotted what I was up to (knackered-looking runner hobbling along with two guys carrying loads of bottles!) and I got so many inpromptu words of encouragement. Really uplifting. 5: Honister Pass to Keswick over the Robinson group then 5 miles of road to finish. With Phil and Angus ready to service my nutritional needs (basically, caffeine, but they bought everything else going just in case – it was anybody’s guess what I’d feel like), it was also lovely to see my running club chairman Graham Wright out, all the way from Rossendale, snapping photos with a lovely enthusiasm. Graham knew what this meant. His BGR was years ago but you don’#t forget stuff like this. 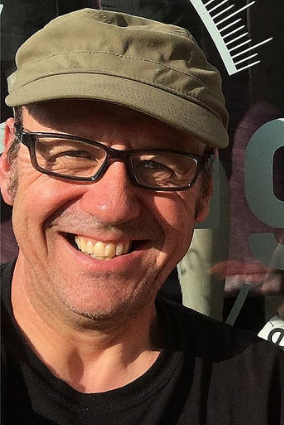 A lovely addition to the team was Steve Riley too. Steve had been drafted in late in the day after a helper dropped out, and another example of how the BGR just magnestises people, somehow. Like all the helpers, Steve’s weekend was no doubt thrown into utter chaos just to allow me to achieve my own personal goal. It’s incredibly humbling. But the uber-helper prize goes to Alan. He’d strangely ‘opted’ to do BOTH legs 4 and 5 with me. After a quick feed of his own, he set off with me and Steve for what turned out to be a pretty decent laugh over the final three summits. We made light work of them and long gone were worries about finishing. The time would be whatever it damn well was. This was ace. I had a nagging small worry that my by then blistered feet would make the 5 miles of road running at the end a road walk. That would have been fine, to be honest – I’d still have finished in time. But a weird transcendent run came to me and I was actually moving at a half-decent shuffle of about 9 min miles. Around a little corner with 4.5 miles to go and… BLAM – a full on family party. With Phil and Angus were now Katie, Lily, Elsie, Anne, Helen, and even Andy Preedy, who had stayed on after leg 2, for a bit of whatever party was going. A burst of rain on the last stretch did nothing to dampen things! My only short moment of blubbering was seeing Lily all ready in her running gear and ready to run the last few miles with me. (Angus had already cycled over Hard Knott, Wrynose and Blea Tarn too. The younger generation annoyingly reminding me how I’m yesterday’s news!). Emotions ran high from here on. Jogging with little pain into Keswick was pretty much blissful. At the Moot Hall, with just the green door to touch, I was clapped and cheered in by a great bunch of family and helpers. I was moved beyond words. My feelings were just of numbness. A bit out of body, really. We dined on fish, chips, peas, and champagne. We’d talked quite a bit on the way round about what I’d feel like eating or drinking when I finished, but that combo never quite came up. It was perfect. 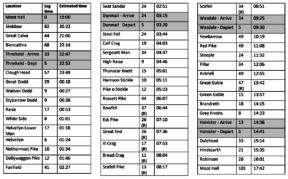 I'm just setting off on my Bob Graham Round… excited! Remembering what inspired me to get on and do this now. #vandercraig Thanks Charlie. 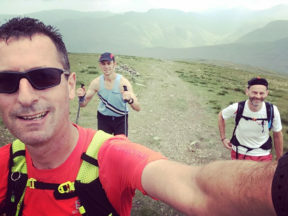 Congratulations on my brother Dave on his impressive Bob Graham round today, 40 odd Lakeland summits, 60 odd miles and 27000 ft climbed in 22+ hours. A pleasure to be a part of the day among great people! 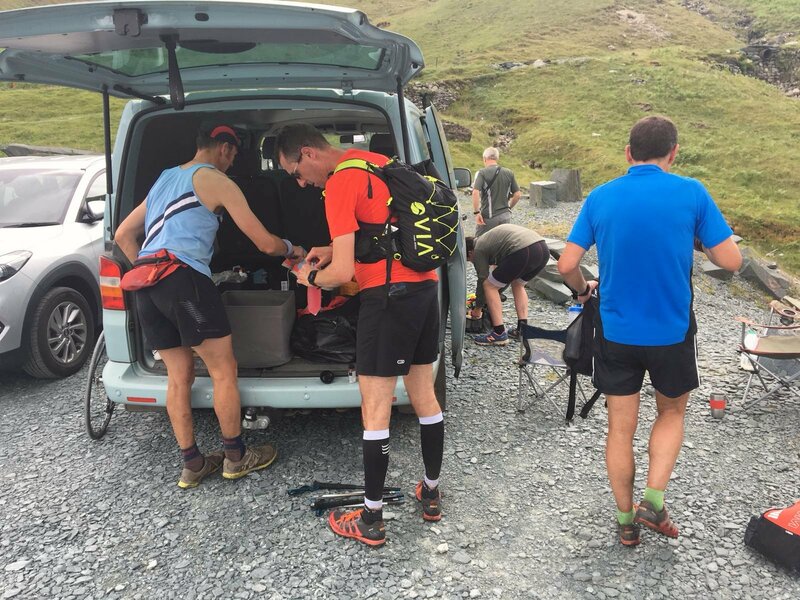 More from @thedavehaygarth Bob Graham Round. The Lakes doing the thing they do best. Glorious day helping @thedavehaygarth on his successful Bob Graham round. So pleased to be involved with leg 3 support after last year's scratched attempt in awful weather. Next PostNext 30 years – somehow a vital connection is made.